I think one of the best cookies to make with your freshly made peanut butter are these crazy-delicious, healthy cookies. And you will not believe the secret ingredient in these. CHICKPEAS (or garbonzo beans) ha! 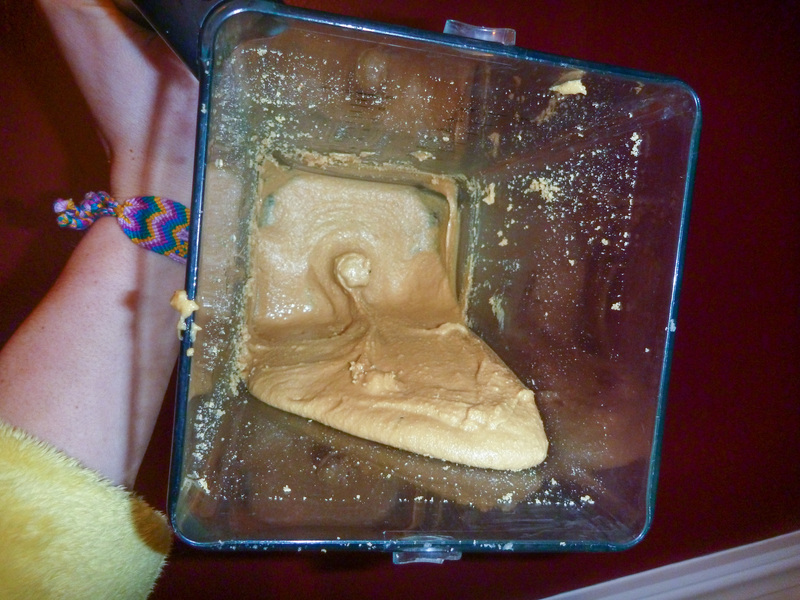 I actually made these in my blender, when all of that sticky peanut butter was still left in it, this recipe cuts the cleaning time in half! Double-bonus! 3. Combine all of the ingredients, except for the dark chocolate chips into the blender, or food processor. Blend for a couple minutes until the mixture is smooth. Scrape the sides and give the mixture one more whirl! 4. 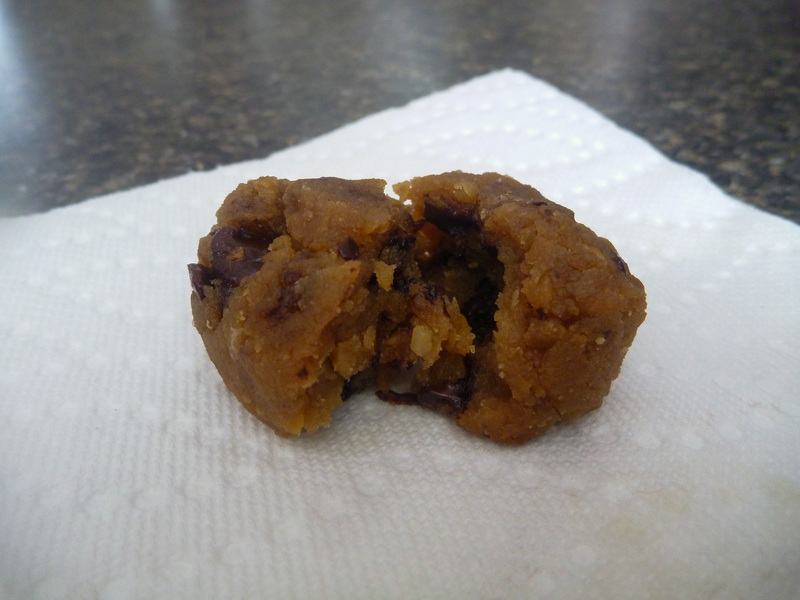 Pull the dough mixture from the processor or blender and add the chocolate chips in by hand, it will be sticky! 5. Form into 12 equal size round balls and place on a nonstick cookie sheet, or cookie mat. They can be placed close together because they don’t spread out too much. One tip! Eat these when they are still warm, if you store them in the refrigerator afterwards just heat them up in the microwave for a couple seconds. They don’t taste so delicious when they are cold. (and the dough isn’t too tasty before it is cooked either). Magical things happen when these are warmed.